Ha ha! It HAD to happen! 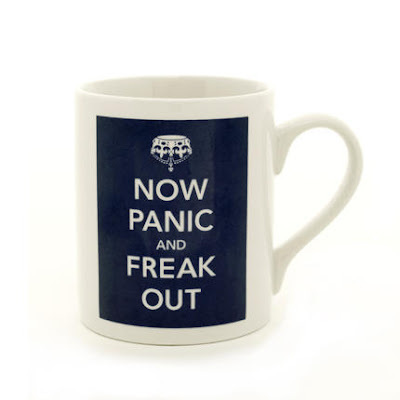 To answer the extremely popular 'Keep Calm and Carry On' posters (raved about here earlier)... the perfect retort mug: 'Now Panic and Freak Out'. I need one for every day of the week, like underwear.